He believes in the Singularity – and is planning to stay alive long enough for a radical reinvention of human intelligence and anatomy. He believes “our sub-optimal” world can be vastly improved by hitching human intelligence to self directing machines. When he was 12, Page read a biography of the epic investor Nikola Tesla. He cried when he read that Tesla died in obscurity and debt. “I figured that inventing things wasn’t any good. You really had to get them out into the world and have people use them to have any effect”. 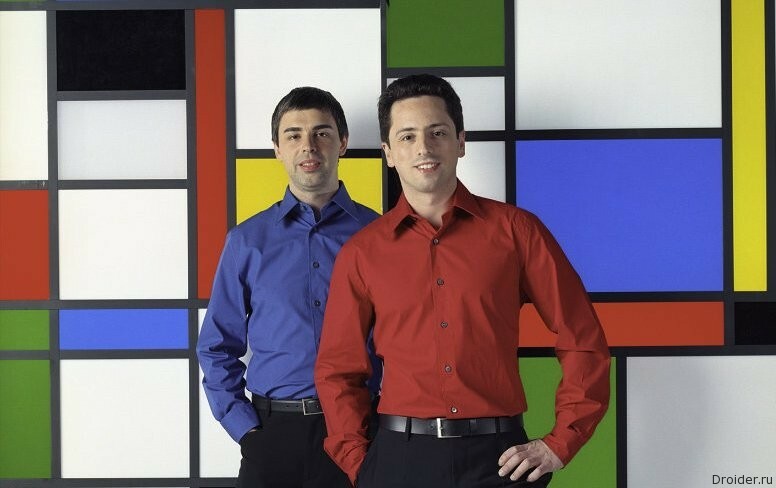 The son of Michigan State University computer science professors, Page was Montessori schooled like his Google alter ego Sergey Brin and Amazon’s Jeff Bezos. He says: “That training of not following rules and orders, being self motivated, questioning what’s going on in the world and going things a bit differently” is at the core of his way of being and of the Google culture. The PageRank algorithm, which ranked search results according to their popularity rather than occurrence of key words or demography, was the result and with it Google and the search and advertising colossus and acquisition machine it became. There were fears in some quarters that it would become conventional though, especially when Page brought transformative CFO Ruth Porat on board from Morgan Stanley in April 2015. She is the ‘nay sayer’ the shy Page, who hates conflict and insists that nothing is impossible, is not. She imposed discipline on the legendary Google ‘Moonshot’ projects by making them pay for the use of Google resources and show how they were going to become profitable within 5 years rather than ten or never. As a result there were high profile ‘exits’ from some of the Moonshots –from the Waymo robot car, from Google Fibre, Nest home hub, Google Ventures and the Loon Balloon project. There were also a good many departures of engineers who saw the end of “Goodliness” and of endless days of play in the sandpit. The move was partly to ensure Page and Brin retained voting control and partly to make ‘other bets’ more transparent. The shares have soared since. But has ‘singularitarian’ Page, one of whose guiding principles Porat used to quote when at Morgan Stanley that ” incrementalism leads to irrelevance over time”, run out of ambition and verve to change the world through exponential technology? Part of his strength is his ability to face up to his lack of interest in and skill at managing people, except when it comes to finding and inspiring the 1% of the best and the brightest to join his grand, what he sees as melioristic technology project. 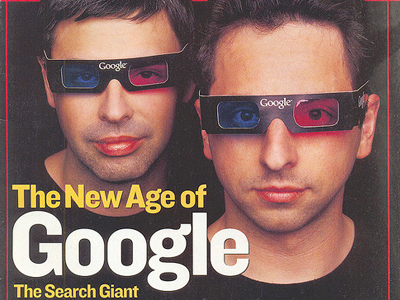 Hence in 2001 he gritted his teeth and handed over as CEO to Eric Schmidt, he and Brin having tested him out by spending time with him at Burning Man, took it back in 2011 and then brought in Ruth Porat in 2015 to do the necessary. There are numerous accounts of how Page thinks and operates. For example, if you’re not thinking 10x….you don’t work long for him. If you’re starting point isn’t ‘Why not?’ ‘Why not bigger?’ you don’t fit in. If you can’t brainstorm at lunch about space elevators, the mass production of skyscrapers, or the impact on urban real estate values of fleets of autonomous vehicles you’re not going to rate with him. But most of all, and ominously for some like his friend Elon Musk as we saw, if you’re not a singularitarian, you’re not part of his or Alphabet’s future as an insider. You have to believe that ageing is reversible and that even death can be defeated. <a boot loader is the program that launches the operating system when you turn your computer> as the world mutates away from the control exercised by the ‘sub-cortical’ mess that is the human phenomenon.This is how Page, Kurzweil and Deepmind’s Demis Hassibis see things.It was Page who lit the green light for Google Brain.Kurzweil sees as unstoppable the emergence of a hybrid species of not entirely biological super machines. Hassibis has even been called “the Merlin who will conjure our children” with artificial super intelligence. Andreessen too complacent? Musk too alarmist? We remain convinced that only very a few outside Google and the artificial intelligentsia really understand what’s developing here. After all the great search/ad money machine is growing at an annual clip of 20% and should be able to fund the Page’s ultimate vision of Alphabet/Google as a world reshaping operation whose product is AI on tap from the cloud orchestrating the IoT, one of whose ‘things’ will eventually be the human organism. Shortly after Page published his letter, Warren Buffett held his annual shareholder jamboree in Omaha and admitted that he “blew it” by not investing in either Google or Amazon. Buffett’s alter ego Charlie Munger called Bezos “a different species.” That’s equally applicable to Page. One of which or Apple will become the first trillion dollar company.